Nobody likes termites, especially billionaires with multiples stores, and buildings valued at billions of dollars. And if you suspect that you have been infested by some, you will need to exterminate them sooner or later, before it’s too late. Remember, it’s not an easy walk in the park doing away with a whole lot of termite colonies. Termites are smart and work both intelligently and maintain operational security. The only way of getting rid of them is exterminating their colonies queens and young ones, this way, you won’t have to deal with damages. 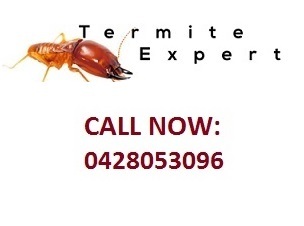 If the various methods of termite extermination fail, you will have to resort to eremite control. And these termite control natural methods could be of help. Placing a cardboard trap, of course, with a suitable agent that will attract termites, could capture plenty of them. Understandably, termites feed on anything, and if you place the cardboard on or in the soil, it will capture subterranean termites and those that feed on wood. After they have been lured, you choose to burn the termite or place them in a basin full of water. This is the most sort out natural and non –toxic ways of termite extermination and control. The method could control termite population. And by the fact that it does away with the working termites, you could end up destroying the whole termite colonies. The queens and young termites won’t have something to eat in the long run, if you keep killing the working ants that bring food to colonies. Needless to say, you could choose to use cardboard, that does a better job or use any other termite baiting agents. This could be pieces of sticks, other woods, not necessarily furniture, and plant leaves. Exposing Their Colonies To Sunlight. Most of the termite’s colonies are built in moist areas, reason being, these guys can’t stand sunlight rays. Likewise, the colonies are built in strata like form and you will find them being huge and erecting their homes, deep down the termite’s hills. This should tell you how the guys are afraid of these sunlight rays. And the simplest ways of all of exterminating some of them and controlling their population is by clearing the ant hills making sure it’s exposed to sunlight for the better part of the day. And to ensure that they get a better sunlight exposure, try digging out the termite hive. This way the heat could reach in deep areas and eradicate the termites and their young ones. And if you keep on digging and clearing the bush around them, they will relocate to other areas. When building your house, you probably use these wood treatments. The main aim is to keep the termites off your boiling. But little did you know that you‘re also limiting their food souses. Termites won’t feed on wood that has been treated and if they do so they will end up dead. This is the most effective method of termite control. However as time goes by, the effectiveness of the wood treatment weakness and termites could infest your home and destroy the building woods and other properties. The key is to go for long-lasting termite treatment method and use this one alongside with other methods. Applying Borates Powder in Termite Colonies. If you happen to identify the termite hive, this method could help do away with plenty of termites, and in a naturally free method. Borate powder is a renowned termite treatment and control solution that has been in use for a great period of time. And the good news is that the borate powder is nontoxic and wot lead to secondary poisoning, something common with the numerous chemical –based termite treatment and control methods. There are divergent ways of administering this termite control method. You could administer it as a spray, of course, the most effective method, or as a paint in the wood. For the latter, it could last for a long time, and make your building and property safe for termite infestation. And just as controlling termites via direct sunlight exposure, you’ll need to ensure that the pirate bower has far much-reaching effects. You could dig some the termite hive or use a liquid to make sure that the brute powder inflates well in the soil. Using the beneficial nematode among other parasitic and other birds that feed on termites could destroy control termite population. The hardest part of this method is the introducing the beneficial nematodes into the termite colony. After you’ve done that, you could have it easy as they will feed on the prey, reducing their birth and growth rate. And if you are lucky enough for the parasitic nematodes to find the queen, you could end up destroying the whole of termite colonies. The drill is that the beneficial worms release and a bacteria that’s catastrophic to termites. They are found in gardens and like to reside close to buildings. Likewise, you could purchase them I from your local pests store, or online. Introduce them to the colonies, and sit back and relax. These are some of the termite control natural methods. The drill is simple, you could use all of them, if you have that ability, or choose the one you feel are effective, and within you’re your budget. But it’s worth to have in mind some termite preventions measures. Marinating them with the termite control natural methods could make you termite free. It’s always a matter of utmost importance to keeping your compound clean, not just for the sake of termite prevention, but to prevent infestation by other pests like snakes. Cut down tall grass, trim your trees and always make sure they are well maintained. Likewise, you could fill any possible traps and openings that could provide termites with passage into your house. And don’t forget to eliminate any moisture that will provide them with a favourite breeding ground.